Field Connect provides technicians with tools and real-time data to improve productivity, collaboration, situational awareness and safety in the field. 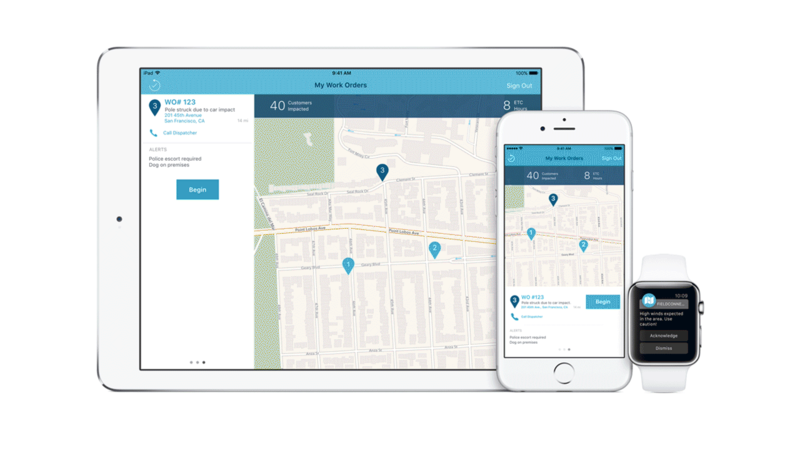 The app provides real-time access to systems of record – including customer information systems, geographic information systems, and outage and work order management – in the field. With this app, technicians use personalized dashboards to get a snapshot of the day’s work and pre-job briefs to communicate critical details. The app auto-populates forms to reduce redundant data entry and enables the addition of notes or photos to expedite sign-off. Maintenance technicians often work in changing environments that can be affected by a range of external factors. Field Connect provides technicians with real-time, personalized information about everything they need to know about their surroundings. Push notifications, powered by location data, provide alerts about local weather changes, outages and dangerous work conditions. The built-in camera allows technicians to have more accurate documentation about job site conditions. Using this app, field technicians can find the experts and information they need to quickly answer any questions they may have in the field or initiate calls to dispatch. Improved collaboration helps them solve problems, find equipment and respond to issues while the work is taking place. With FaceTime, technicians can communicate more easily with their peers or check in with their supervisor – whether they are in the truck or at the top of a pole. Maintenance technicians are often in the field alone and faced with ever-changing environments that could imperil their health and safety. Field Connect provides personalized training on the job site and safety modules that are determined by analytics based on their job role and skill level. The SOS feature enables calls for help and can alert dispatch, emergency services and supervisors of safety incidents. The technician receives a notification so they will know that help is on the way.